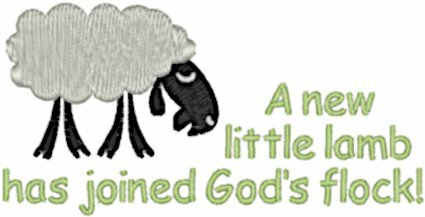 This is one of the cutest announcements for birth or baptism announcements. This design is available for the 4" x 4" hoop. 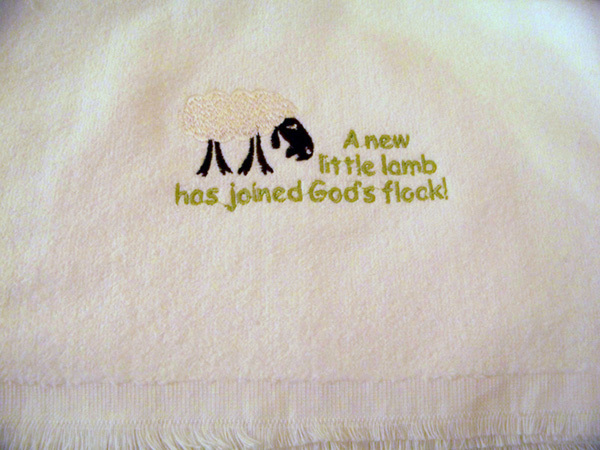 The sewn out size is 3.80" W x 1.93" H with 6,375 stitches. This design has 4 thread colors.